One of our customers came in yesterday talking about a 'crab and poblano soup' that he was going to make for his mom's birthday and it sounded SO good that I thought about it all afternoon. And then I thought about clams. And poblanos and sweet pepper and polenta... (oh my!) One thing led to another and all of a sudden I was trying out a new recipe on Sailor and her unsuspecting friend who came over after school to work on spelling words. Friend said 'what's for dinner?' and my daughter told her 'some gourmet seafood thing' with a bit of a snarky eye roll. (poor kid) Fortunately, both of the girls were adventurous and not only did they try the dish, but I got a thumbs up from both of them... and a small mountain of empty clam shells! This clam dish is really delicious. The broth is rich and flavorful, the polenta is filling and adds just the right amount of texture, and the flavors of the sweet peppers and poblano pair really nicely with our fabulous local steamer clams. Easy, fairly quick and just one pan - a thumbs up from everyone! serves 4 for dinner 4 lbs steamer clams 1 large fresh poblano chile pepper, seeded and chopped ¾ cup chopped sweet peppers 1 cup chopped sweet onion 2T minced garlic cloves 2T butter 1 cup grated pepper jack cheese 1 cup white wine 1 package polenta 1 T coconut oil (or butter) Find a large fry pan or pot with a lid that will eventually fit all of your clams. Cube your polenta, season with garlic salt and pepper and fry in coconut oil until browned. Start chopping those peppers up and give your clams a good rinse in a colander in the sink while you keep one eye on the polenta pan. When the polenta is done, slide it on a plate and then return the pan to the heat. 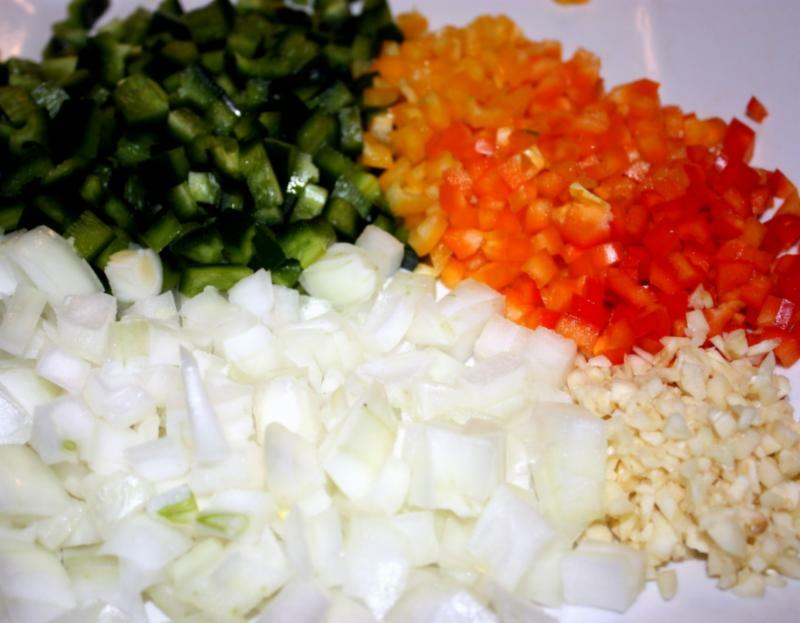 Toss in the butter and all of the veggies (onions, garlic, and peppers). Sauté the pepper mixture over medium high heat until they're tender, then swirl in the white wine and toss in the cheese. 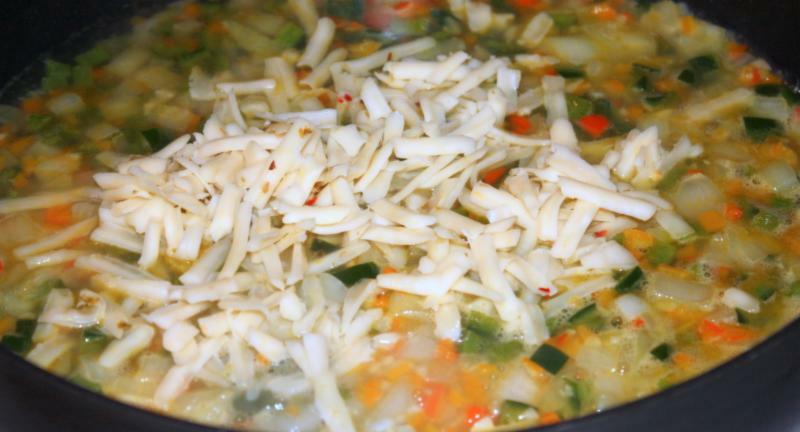 Let the cheese melt into the broth for a moment, the slide the clams right on top and pop the lid on tight. Keep the heat at just about medium and let them steam in the wine/pepper/cheese broth for 4-5 minutes, until they start to open. Fold the clams around with a spatula or large spoon, then let them steam for another 3-4 minutes (or until all of the clams have opened). 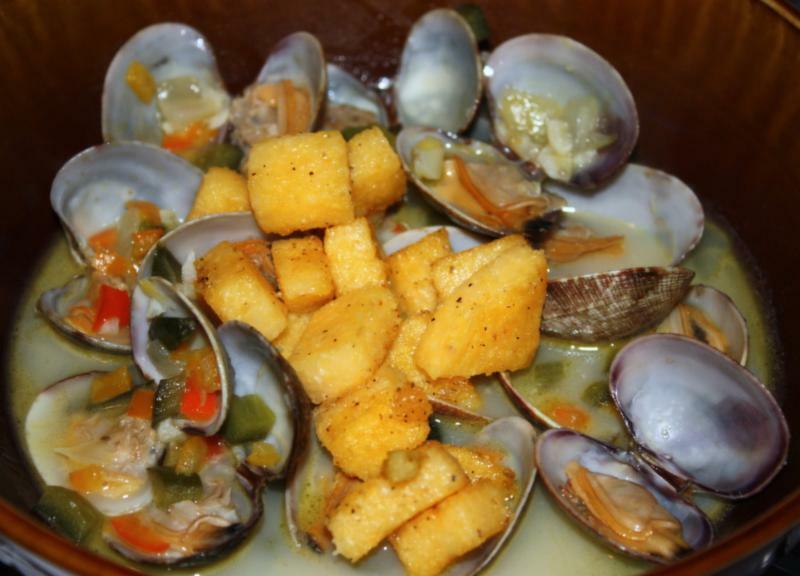 Divide the clams into bowls, then add a handful of the fried polenta to the top, and serve with little forks and a big bowl to toss the clam shells in. Enjoy!